If you, like me, picked up Nier: Automata on PlayStation 4 during the Golden Week sale, here is a tip that will CHANGE EVERYTHING: Remap the buttons. As you may notice when you first start playing Nier, the default control setup has a few weird quirks. Evade is mapped to R2 while shooting is mapped to R1, making it tough to dodge while you’re also firing bullets (which you want to be doing constantly). Lock-on is mapped to L2 and your pod’s special attack is mapped to L1, so you have to do some uncomfortable finger twisting if you want to shoot laser beams at an enemy you’re targeting. 1) Swapped Evade (R2) with Action (Circle). Evade on circle feels far more natural than it does on R2, and being able to shoot laser beams at enemies while ALSO targeting them is much, much better than the alternative. Those two tweaks were a game-changer for me. 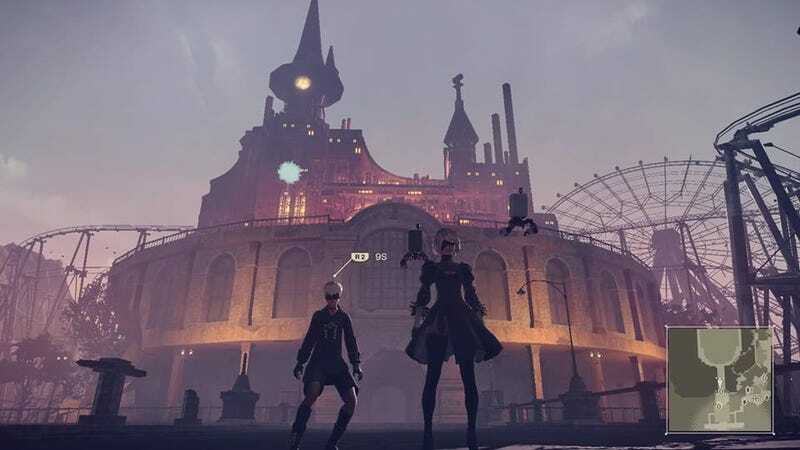 Also, I’m about five hours into Nier: Automata and it turns out it’s pretty good. Why didn’t anyone mention that anywhere on the internet?